French culture: celebrating la Chandeleur ! 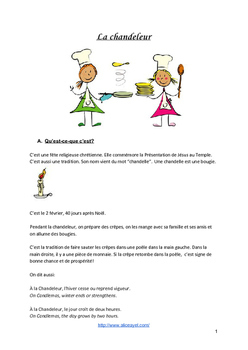 Candlemas is around the corner and I have prepared some fun activities to do in the French class to celebrate this special event. 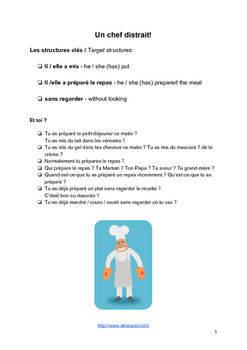 In fact as the activities are mainly centered around crepes and how to make them, you could also use them to celebrate Mardi Gras (which is on the 9th of February this year) or if you are teaching a topic on food.